Here are a few kind words from our satisfied clients. "Rich was an amazing voice talent to work with. My book sounds great and he was incredibly punctual throughout the entire process. Definitely recommend. " "With a voice that is authoritative but warm, Rich Brennan brought to life 'A Walk by the Sea' and 'Saint Nicholas the Buccaneer', making these simplistic stories a transporting experience perfect for young children to enjoy!" I was awarded a small audiobook and Rich Linville (the author) commented:"Rich Brennan was the perfect voice match for my audiobook “A Music Journey From Prehistoric Ages to 500 BC”. His voice, pacing, timing and tone were exceptional. The background music and sound effects were wonderfully done . I highly recommend Rich and look forward to working with him in the future. " "Rich was AMAZING! His voice and inflection were spot on, and exactly what we were looking for. He was extremely responsive and had a fast turnaround. We'll be back. Pete needed a voice-over for a YouTube video promoting his business, Sand Dollar Productions; click HERE to view it. "Rich Brennan is a pro!" "It was a pleasure working with you. Everything that you narrated was top notch and I would love to work with you again." "Mr. Rich Brennan did a fantastic job performing the voice over for my novel “Murder on Steel Beach: A Navy Story (Chaos on a Cargo ship). Rich was able to perform male and female voices with distinction and sounded great, even performing Asian accents well. The background music and other sound effects really helped enhance the story to the listener. I am glad I chose Rich Brennan for my murder mystery novel." "I first heard Rich on the phone answering system of a company I do business with. I asked them for his contact info and now he answers my phone as well. The warmth of his voice and positive tone of his delivery inspires confidence and makes callers comfortable. I'm looking forward to working with Rich on future projects." "Excellent work! I hired Rich to do voice-overs for a 30-second TV commercial and 90-second website video. I asked for 2 different "personalities" for each audio clip and he nailed both. He did both audio's very quickly. I was expecting at least a couple of revisions but I was so impressed with the 1st demos that no revisions were necessary. I highly recommend Rich." "Rich is the best narrator I have ever hired. I wish he could narrate all of my books, he just has the best voice for it and he added background music to certain parts of the narration which made it stand out from all other recordings. He also let me know of any mistakes in my book which was very helpful. Nothing but positive things to say about Rich." "I really love your work, Rich. I will be using you again, for sure!!!!!" After some setbacks, I produced a science fiction & fantasy audiobook, through ACX.com (Audio book Creation Exchange). Milo Fowler (The Author) was kind enough to leave some feedback. "Rich Brennan was an absolute joy to work with. He was extremely instrumental in helping me complete my project on time. He is a brilliant, forward thinking professional, who's not afraid to ask the right questions in order to solve technical issues. Mr. Brennan is also a high-level multitask person, with a deep understanding of the big picture. Extremely good people person, and can articulate clear direction. I strongly recommend working with him, as you can expect him to get the job done with enthusiasm and excellence!" "Rich Brennan, first and foremost, was a pleasure to work with. He was communicative and takes great pride in this work. I am happy with the finished audio product, and would use him again!" "Rich is an amazing resource for any project requiring narration. His distinct voice adds a unique level of professionalism. I am certain that his talent helped make my Kickstarter project a huge success." "Rich turned around a quick voice-over job for one of our clients and absolutely wow'd the client. Highly recommended!" "JustMyVoice Production- Rich is very easy to work with, highly professional and provides quick turn around with quality results! I would recommend his work and use him again!" "Rich of JustMyVoice Production worked tirelessly to satisfy a very discerning government client of ours. His pricing is simple and very affordable. I trust we will be using him again." "We were so glad to find Rich. He is prompt, professional and provided exactly what we needed for our project with a very short turnaround time." 'I want to compliment Mr. Rich Brennan on the fine job he did for my video promoting my small business. I moved to Hawaii after spending my entire life in Southern California (Entertainment capitol of the World). I was amazed at the lack of talent here. I needed a voice over and I needed it in a hurry. After speaking with Rich, on the phone, I emailed the script; Rich recorded a few versions to choose from and they were all great. It was difficult to decide which recording to use. All within 24 hours! Could not be easier! Not to mention the perfect voice for the job! "I assumed the search for a voice over professional for my book trailer would yield the usual results...you get what you pay for! What a pleasant surprise discovering Rich Brennan of JustMyVoice Production. He patiently listened to my request, treated my project as if it were a Hollywood blockbuster production and I didn't have to mortgage my house to reap the rewards of his topnotch services. Did I mention there was only a one day turnaround?" "I found Rich on the internet and was surprised at how professional he sounded and how reasonable his rates were. Upon working with Rich he was very interactive and fast with responses. Unlike other companies I've worked with in the past you can reach him directly on his cell phone and not have to play the email game. He continued to work with us until we got exactly what we were looking for. Anytime i need a male professional voice-over in the future ill be going back to Just My Voice Production. Thanks Rich." "Rich is professional and courteous. All correspondence was done via email, and Rich could not have been more succinct in what he was trying to achieve, be it questions regarding limitations, to word count, to pay, and everything in between. It’s easy to see that Rich is TRULY vested in his work, as he is willing to do re-recording on anything that isn’t good enough for even the most discerning ear. Rich makes communication cake, and you are sure to receive exactly it is that you need. Rich is fair. 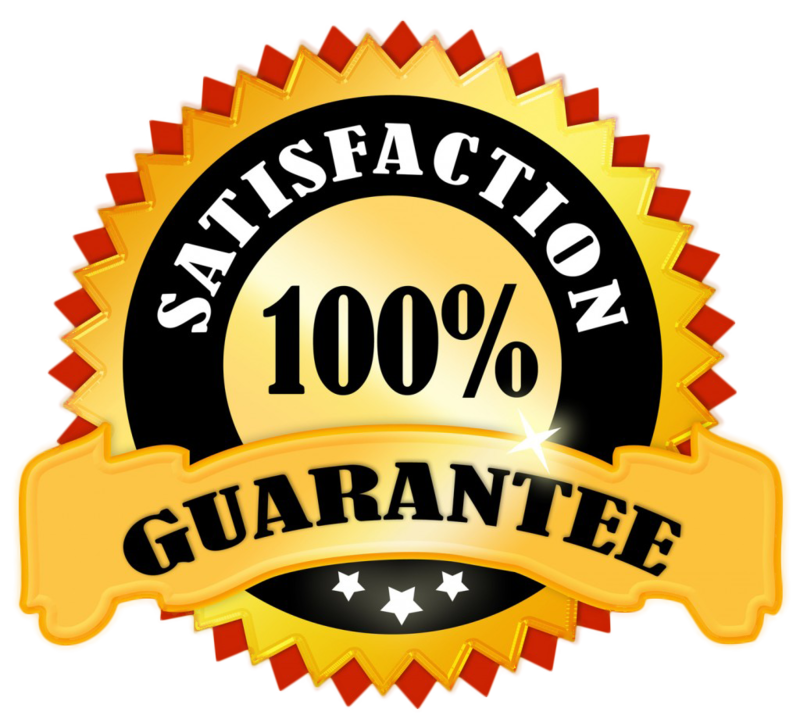 If I had 6 words to summarize, I’d use– “Quality work at an awesome price. Rich’s quotes came in FAR lower than the rest, but this is not to say that the work Rich does reflects the popular quote “You get what you pay for.” You get MORE than what you pay for. I am a consumer that rates vendors and partners based on the ENTIRE OVERALL experience, from conception to execution. Rich covers ALL the bases. Rich is fast! Quality voice meets extremely reasonable turnaround times with Rich. Nothing more needs to be said – Rich won’t leave you high and dry. Lightning fast replies and confirmation on everything to make sure the work is done right. We have confidence in the work he provided, and as a result, his voice will be prominently featured on our new voice menus. Remember when you’re calling MGX Copy, Rich’s warm voice will welcome you!" "Rich is fantastic! He does all of our station promos and has helped us create a signature sound that stands above the rest. He has a great voice and is very creative. He is reliable, professional, and extremely talented. You will be happy you chose him!" "Rich is absolutely fantastic to work with. We would not hesitate to use his services again!" "Rich Brennan, with JustMyVoice Production, has voiced and produced a number of radio spots for us at DiamondJacks Casino & Hotel and every one of them has sounded great! We receive the spots in less than 24 hours and he is very hands on about getting any edits done quickly and efficiently. We will definitely be using him for future radio spots!" "Rich was a pleasure to work with. He executed the voice over perfectly according to the creative brief. His turn-around time was as promised, and the quality of his work was great. I recommend using JustMyVoice Production for your voice over needs." "Rich provided us with just the right voice to give our video a professional touch. Great communication also!" "It sounds GREAT!!!! And you did an AWESOME JOB! I was super impressed at the speed in which Rich handled my request. In less than 24 hours I had my finished demo in hand. Now that is customer service at its BEST! Thank you so much." "Working with Rich is a pleasure. He is fast and totally workable. Any changes, in the script, come right back and the clients are always pleased. Great voice, great talent, great friend. You won’t be disappointed." Rich Brennan voiced an industrial narration for us, recently, and he went above and beyond my expectations. Perfect reads, perfect edits and next day turn-around made me a happy producer. More importantly, my client was very happy. Highly recommended! JL Recording Studios required a informative and authoritative male voice for a difficult medical script and Rich did a fantastic, professional job, and quickly – thank you! I've had a thoroughly professional and seamless experience working with Rich Brennan. He is fast, flexible and delivers engaging voice over narration. I highly recommend working with Rich for your next project. He's a total pro and fully client focused! Rich Brennan is a life saver not to mention a money saver as well. My station changed affiliations and I was given a very small window of time to change ALL of my stations imaging. I was on the phone with Rich one minute, emailing him New liners the next. The turn around time was fast and with the help of JustMyVoice Production the station has never sounded better. "I asked Rich to assist with a departmental telephone answering protocol for my new business. Rich got it right the first time. However, we found that what I had wanted to do was not in sync with the structure of the service I was utilizing. Rich worked with me on a couple of more iterations to get the system working correctly, .. over and above my expectations." "Rich Brennan is the quintessential pro, with an ability to deliver exactly what we're looking for in a voice over talent: consistency, professionalism and creativity. He always brings more than we expect from every session." "I love working with Rich at JustMyVoice Production. Given our time difference, Rich is easy to communicate and work with. The bottom line is that he is able to provide a consistently high quality voice over at an affordable price." "It was a pleasure working with Rich. He was very professional and flexible and was able to deliver the voice-over we needed very quickly." "Rich is the man! The quick turn around on the audiobook we gave him was indeed impressive. His warm voice was just perfect for the narration of the book and our client was more than pleased with the final audio. He is a pleasure to work with and we definitely look forward to working with him again. " "Rich was really easy to work with. He understood what we wanted, and gave it to us in one take! And that voice is just amazing!" "As with most clients, I had a very tight deadline which Rich responded to, in record time; delivering great quality, a range of samples and all to a high standard. I Would certainly recommend Rich for future projects." "It was a pleasure working with Rich. He is a natural voice talent and hard worker who strives to get it right every time." "The first thing I noticed about working with Rich, is how much he made us feel like our project was as important to him as it was to us. He took the time to learn as much as he could about our project, and then applied his years of experience to our script. We have come to him with Large and small jobs and found that he always found a way to improve our product while staying true to the vision. He is professional to work with, his turnaround time is fast, which is always a plus in the fast paced world of media. He came to us highly recommended; now I know why. I highly recommend Rich to anyone who is in need of Voice Over or Collaborative Script work ." "Rich is the voice I've been seeking for years: the perfect blend of authoritative and friendly. His voice emits the kind of sincerity that makes people listen. And of course, he's a pleasure to work with." "I truly applaud Rich's patience with us! We had a very picky client and he did - then redid - the file again and again without the reaction I may have given if I were in his place. Thanks, Rich - and you really did a fantastic job." "Rich is awesome! He came up with a great concept for our ad and we will definitely use him again." 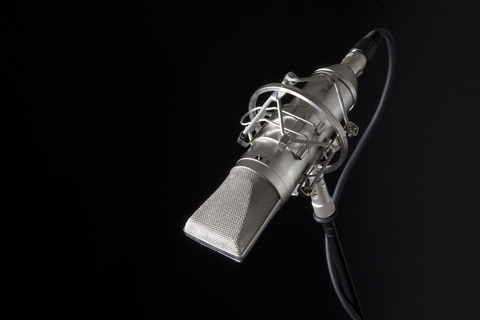 "Rich provided us with a high quality voice-over for a training program we were creating. The recordings exceeded our expectations and are perfect for our needs." "Thank you Rich for all of your help and cooperation. You were extremely quick and responsive and that is invaluable when you're on a time crunch!" "Our client was looking for just the right touch and tone for our latest project and Rich was a perfect fit. Rich did a wonderful job on the read and gave it that tone that was so needed for success. If that wasn't enough Rich had our VO track in the same day, that's faster than Fed-Ex! Thanks Rich, will hear you on the next one." "We were on a very tight timeline and Rich delivered a high-quality recording of our script as his audition. He went above and beyond to make sure that we got exactly what we needed for the final deliverable, and stayed within our budget as well. We are very pleased with his work ethic, professionalism and follow-up." "Rich Brennan is a wonderful producer. It was a pleasure working with him! He provided a fast turnaround, offered multiple options for the client to choose from and produced a high quality, professional product. I look forward to working with him again in the future!" "The thing about Rich Brennan is that he thinks through the project and understands the best outcome ... sometimes better than we do! Professional, talented and a really nice guy to work with. I have no hesitation in recommending him." "I just wanted to let you know how pleased (proud) I am of the Football Liner Package you just finished up for us.I can't wait for our first show, we are going to sound soooooo sharp! It's really going to set us apart from what other stations in our area are doing in terms of the production of the show. You took what was an idea on paper and turned it into something amazing. I also appreciate the fact that there is so much diversity within the package. The mixed variety of beds, stingers, effects, etc that you used showed you're willing to go the extra mile. I really appreciate that! I'm also grateful for the turn-a-round time, very efficient." "Thanks again for everything, I would whole heartedly recommend your services!"